A wide range of basketball stakeholders were present. Claude Gross represented the Sonny Hill League. Don DiJulia, Saint Joseph’s University’s Athletic Director was reunited with his Sweet 16 backcourt of Rashid Bey and Terrell Myers. 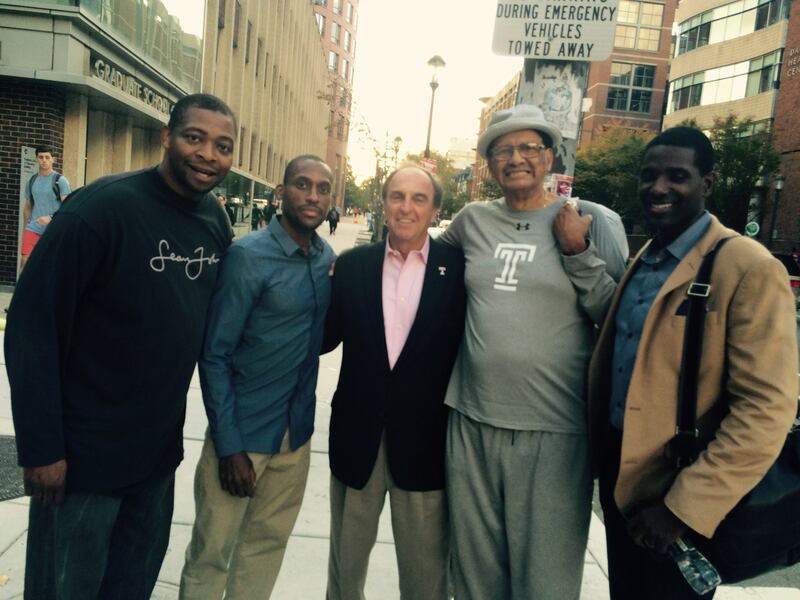 Fran Dunphy and Steve Donahue, respectively, represented their Temple University and Pennsylvania University basketball programs. Kamal Yard (Philly Pride), Myers (WeROne), Eric Worley (Philly Triple Threat) and Bey (Team Final) represented three of the more prominent and influential AAU/Grassroots programs in the region. Justin Scott, Arcadia University and Rudy Wise II, Rosemont, held it down for the small colleges. Camden was represented by Tyrone Pitts and Larry Yarbray was flying the Chester High flag. What was most interesting about this gathering was the fact that the game of basketball was never mentioned over the course of more than 2 hours. 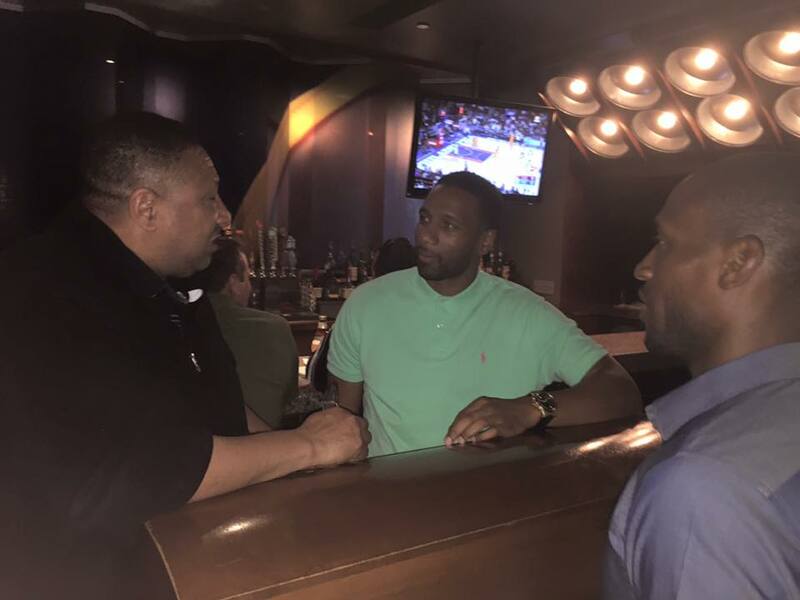 The discussion focused squarely on how the Philly basketball community can develop, harness and leverage social capital that can be utilized to further the social, educational and emotional development of young people or “our guys” as Dr. Scott Brooks described them. Held in the Graduate School of Education at the University of Pennsylvania, the “Roundtable Discussion” was led by Dr. Brooks, Professor of Sociology at the University of Missouri. Dr. Howard C. Stevenson, Constance Clayton Professor of Urban Education at the University of Pennsylvania and Stephanie A. Tryce, J.D., Assistant Professor of Sports Marketing were also in attendance. Kenny Holdsman and Eric Worley outlined their vision and plans to build a state of the art, basketball-based youth development center in the heart of North Philadelphia. Holdsman passionately posited that when you create opportunities for young people to develop their potential as students, athletes, and responsible engaged citizens, the individual and the community will thrive. Basketball, for Holdsman and Worley, is more than a game. Their efforts are undergirded by extensive research demonstrating that sports foster growth and development physically, academically, and socially. Towards that end, Holdsman noted that they have begun building a professional organization and initiated fundraising efforts to construct a $25 million state-of-the-art, basketball-based youth development center in the heart of North Philadelphia. This 120,000 square foot facility will have 8 indoor and 8 outdoor courts including a 2,000 seat indoor competition court. It will also feature an education wing with a library, classrooms, computer lab, and a community engagement center. Worley explained that they simply could not wait for construction to be concluded to begin serving Philadelphia’s young people. As a result, in a couple of weeks they are initiating the PYB School Partnership Pilot Program. Through this pilot program, PYB will provide programming in eight-week intervals (fall, winter & spring) for middle-school aged students at four school partners located in the North, Northwest, and Southwest regions of the city. Programming will be held at the location of the four school partners twice a week during after-school hours and every Saturday at Temple University and/or another Philadelphia area college or university. The program will focus on academic support, homework help, study skills, time management, tutoring, high school selection, leadership, character development, health and nutrition, family engagement, and basketball skill-building and competition. All participants will receive basketball uniforms. Claude Gross shared stories from his experiences over the past 55 years with the Charles Baker and Sonny Hill Leagues. 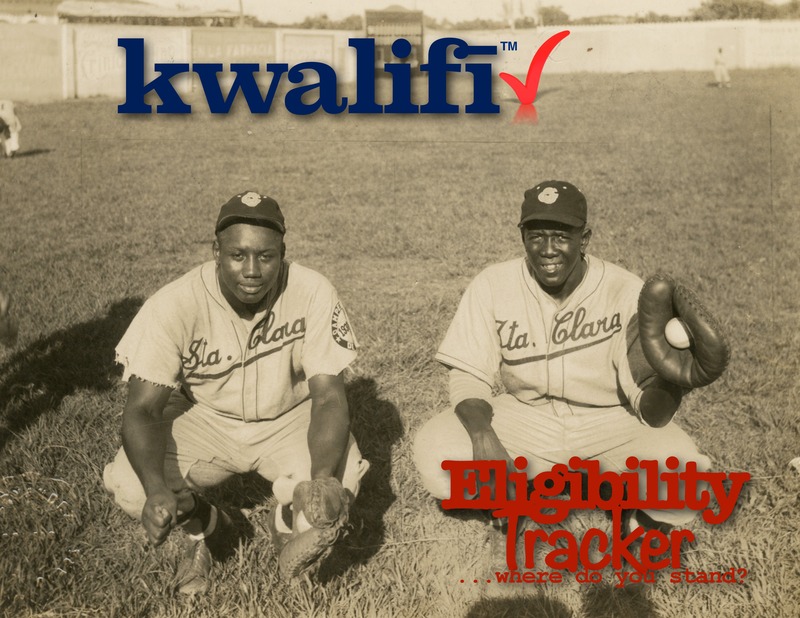 Gross explained that the Hill league was never about producing NBA basketball players. Rather it was always about producing middle class young men that could provide for themselves and their families and become positive contributing members of society. 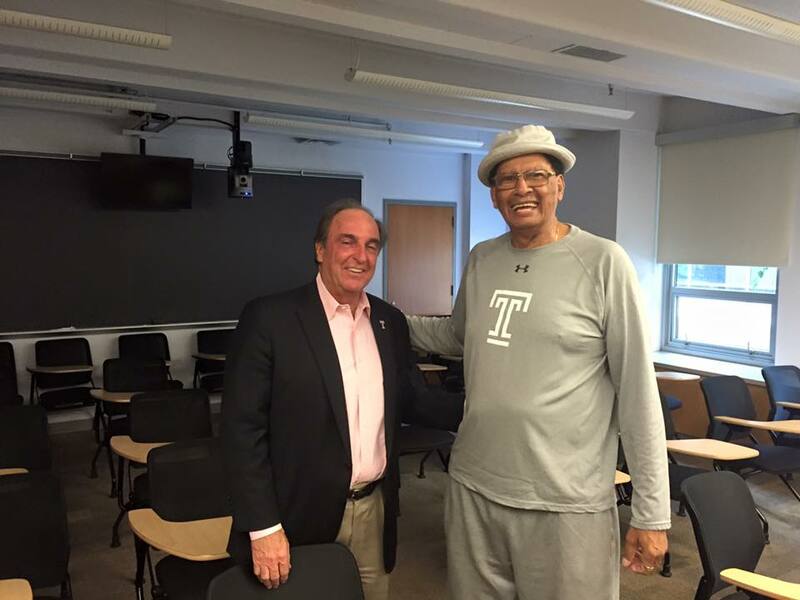 Finally, there was a magisterial presentation by Dr. Brooks, a protege of Philly Schoolboy legend Claude Gross. While pursuing a Ph.D. in sociology at the University, Brooks spent four years coaching under Gross in the Sonny Hill League basketball. 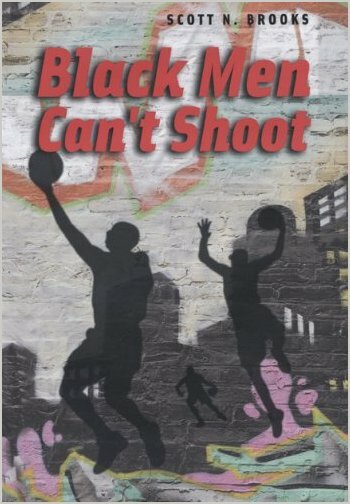 The result of his research was an extremely insightful and nuanced book, Black Men Can’t Shoot (University of Chicago Press). For those interested in gaining a better understanding of the multi-layered intersections of urban education and scholastic sports, it is a must read. In his presentation, Dr. Brooks deftly described what he saw, heard, and felt working with the young black men in the Hill league. His discussion of the manner in which the Claude Gross, Fred Douglass, Vince Miller, John Hardnett, Tee Shields and others utilized their social networks and expended their social capital was both informative and captivating. There will be subsequent “Roundtable Discussions” sponsored by Philadelphia Youth Basketball, Inc. and Black Cager Urban Sports Media. Updates will will be available on this website. We are in the midst of basketball paradigm shift. There has been fundamental changes in the approaches to and underlying assumptions of elite scholastic basketball. Most significantly, grassroots/AAU basketball has superseded high school hoops in importance. Scholarships are earned in the summer. High school merely provides college coaches an opportunity to follow-up with the kids they have seen on the grassroots/AAU circuit in the summer. At the very highest level of competition, the prep school or academy model has gained a foothold. Increasingly, the very best players leave home to train and play with other elite players on a daily basis. Going into this season, the top 5 high school teams in the nation are all prep/academy squads. Oak Hill Academy (VA), Montverde Academy (FL), Huntington Prep (WV), Findlay Prep (NV) and Chaminade Prep (MO) are the consensus top programs this year. Some kids from the Greater Philadelphia region have decided to seek higher levels of competition and go this route. Sedee Keita is at Putnam Science Academy (CT), David Beatty is St. Benedict’s Prep (NJ) and Horace Spencer graduated from Findlay Prep last year. About a month ago, Trevon Duval decided to transfer to Advanced Prep International (TX). Now, imagine you were an elite scholastic player presented with a similar opportunity. Let’s say you were named the State Class AA Player of the Year as a junior. Let’s say you led a school that had never won a postseason basketball game in 51 seasons, to six playoff wins in a three-week span. Let’s say you pumped in 21 points to lead your team to a state championship. Let’s say you were named 1st team All-State. Suppose your grades and academic standing were beyond reproach? 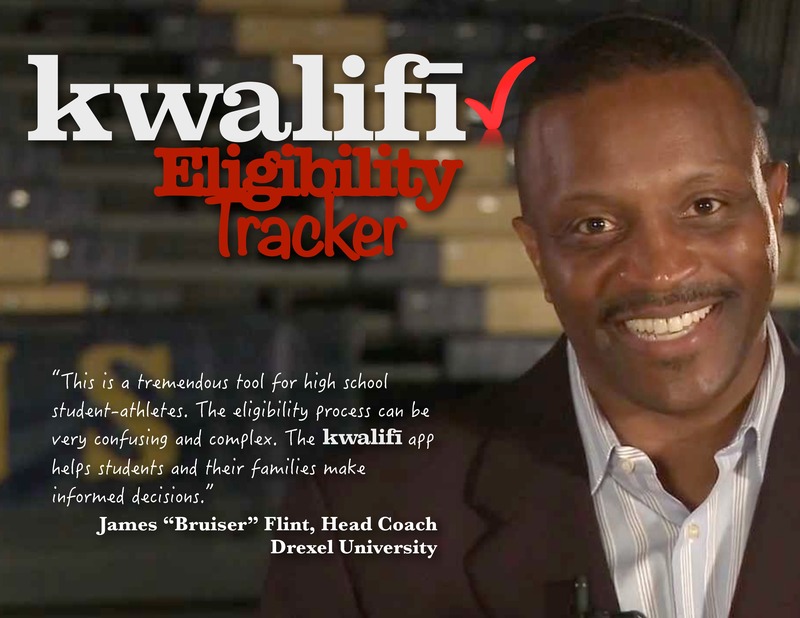 Suppose you already committed to a winning Division 1 college program? If you were presented with an opportunity to train and practice every day against, arguably, the top player at your position on a daily basis, what would you do? What if two of your other potential teammates were top 10 players in their respective classes? Would you take advantage of this opportunity to hone your skills and enter college ready to compete right away? First of all I want to thank God as well as of those that contributed to my success over the past three years at Conwell-Egan Catholic High School. From family, friends, coaches, teammates, teachers, staff, press and those that I have met along the way, I am thankful for the impact you have made in my life. I am grateful for my teammates and the opportunity to play with each and every one of you. Together, we made history as State Champions. I have been working and training for a chance to play consistently with and versus the best players in the country. I have always appreciated the challenges in life, knowing that would make me the best possible. My family and coaches have trained me to seek and embrace these challenges. Therefore the only decision consistent with my goals is to attend Advance Prep international (API). My heart is heavy for leaving, but my mind is strong. The choice to leave CEC was not an easy one. Nonetheless, it is my hope, that you understand my decision and continue to support me in my endeavors. I look forward to the 2016-2017 school year where I have committed to Rider University and seeing you in the stands cheering the team on as we make headway on the collegiate level. Special thanks to my Coach Frank Sciolla not only a great Coach but awesome mentor-appreciate you Coach SKI thanks for believing in me and “twatching”, the entire coaching staff, Janet Dollard-(CEC President), Bill Burns (Coach), Marion Manns (School Principal) and Alumni. Cant forget my Bro, Lapri- Thank you for being alongside of me for this bumpy but historical and memorable road. I love you Bro – Keep Grinding!! Youngfella… The Black Cager wishes you the very best this year and we look forward to seeing you lace ‘em up at Rider University next year. As we are quickly approaching the start of another exciting scholastic basketball season in Philadelphia, people across the country are focusing on perennial powers Roman Catholic and Neumann-Goretti. Those two along with Archbishop Caroll have fielded nationally ranked boys basketball teams over the past few years. 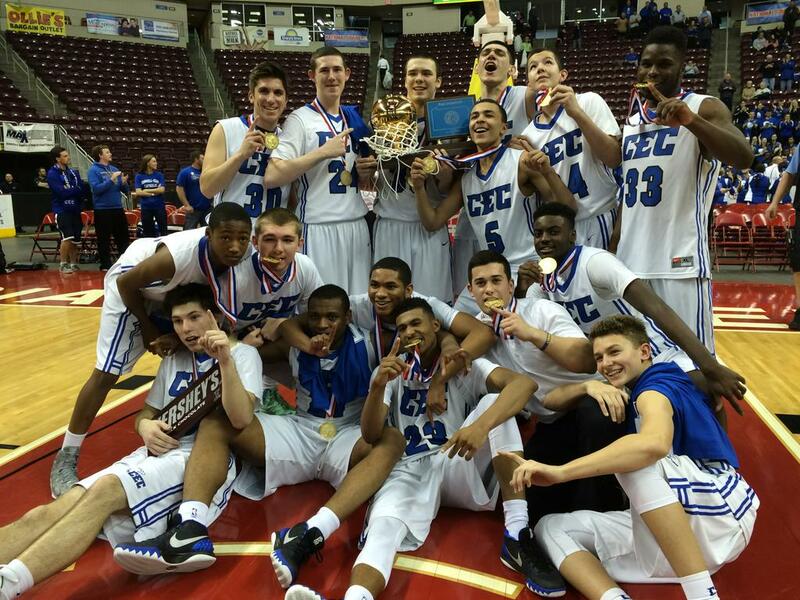 When you consider that Conwell-Egan also won a PIAA state championship last year, it becomes apparent that the Philadelphia Catholic League (PCL) is the most competitive high school basketball league in the state and arguably one of the premier leagues in the nation. Schools like West Catholic Prep and Bonner are trying mightily to crack the upper echelon. 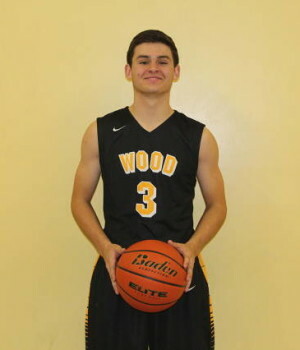 Here I present an interview with John Mosco, Head Coach at Archbishop Wood. Mosco has been a prominent figure in Philly schoolboy hoops for nearly 2 decades. 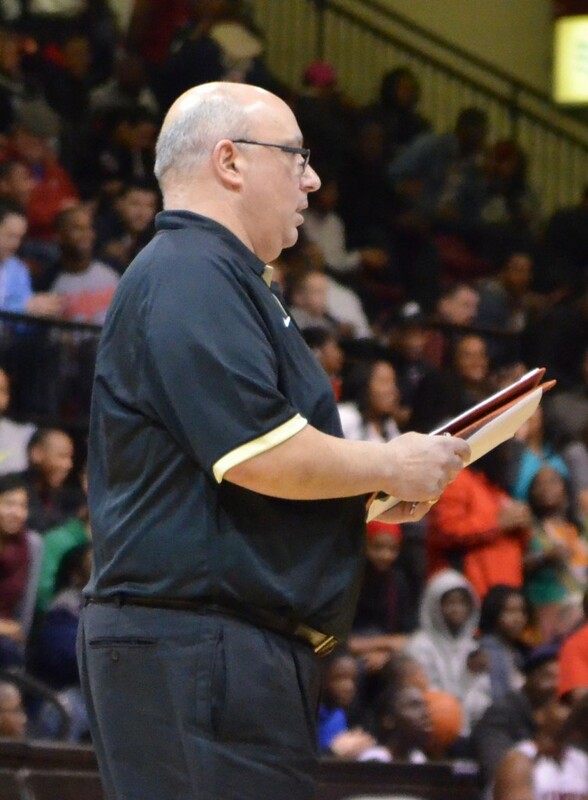 He served an apprenticeship under Carl Arriagle in the legendary Neumann-Goretti program. Two years ago, Mosco was handed the reigns at Wood. Widely recognized as one of the “good guys” in the Philly hoops community, he has been working diligently to build a respectable program. His team plays hard and they play unselfishly. He has developed some of the best young players in the Philadelphia region. 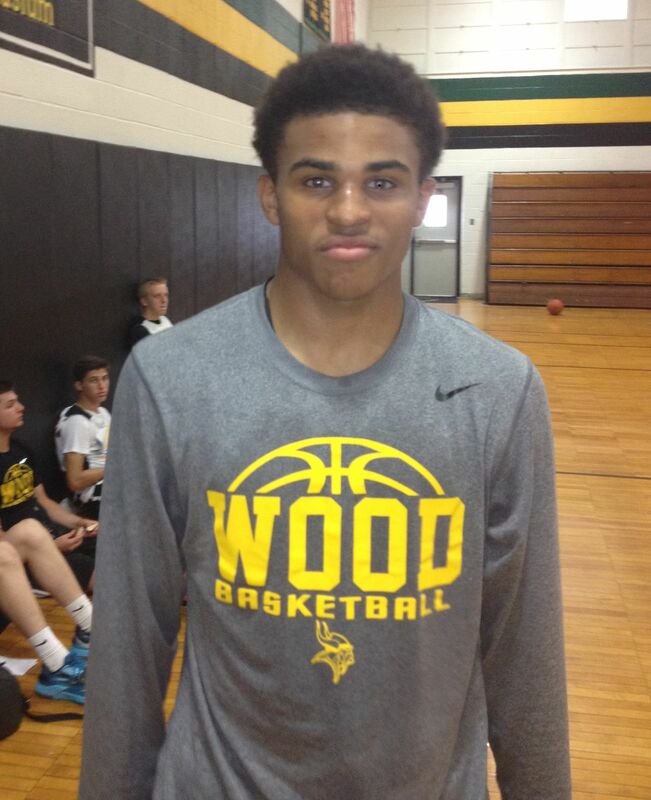 This could be the year Wood breaks through and challenges the Big 3 for PCL Catholic League supremacy. Black Cager: I think the Philadelphia Catholic League (PCL) is arguably the best scholastic High School basketball league in the country when you look at it top to bottom. I’m not talking about leagues that have 5th year guys or the New England Prep School League. I’m talking about pure high school basketball. What are your feelings about the ability of the PCL to compete on a national level? John Mosco: I think night in, night out with quality of the coaches in the PCL, the way they prepare their teams, it’s the hardest league to play in. You see what teams like Roman, Neumann-Goretti and Carroll did last year on the national scene. Especially with Carroll losing Ernest to injury and they were still able to win big games at the City of Palms. Neumann-Goretti was supposed be in a down year and they won a State Championship and could have won a Catholic League Championship. Roman Catholic pretty much ran the table only having 2 losses, both in the league. They beat everyone outside the league. My first year here everybody thought I was crazy when we scheduled DeMatha and other high powered programs. But I want my players to have those experiences. They can play against the best players and tell their family members and friends they play against the best. Every night you have to bring it because you could lose just as easily as you could win. Black Cager: I had the good fortune of attending one of your games last year. You were at Roman Catholic and we all know that’s a tough, tough place to play. The gym is not regulation size. Your boys came in there in front of a standing on each other crowd and managed to pull that game out. You have a very young team. What did that mean for the program? And, how will that help you get your guys to understand that you can compete and win against the very best teams in the city? John Mosco: That game meant a lot to me. For two years, we were talking about having a signature win. We felt that that was our signature win. We were able to walk in there and win. Keep in mind they hadn’t lost there in seven (7) years. Juanya Green hit a buzzer beater to beat them, but I think that was at least 7 years ago. Since then, then haven’t lost in that building. I’ve been on the wrong end os some severe beating there at Neumann. I remember Donnie Carr crushing out team before the Neumann-Roman game was moved every year. To be able to compete against Roman and beat Roman was great accomplishment for our program. Roman is a program that we look up to with their accomplishments. They are the big dogs on the street. We’re trying to instill in our kids a belief that they can just go out and compete with anyone. It’s just high school basketball. The game is 32 minutes and if you play your hardest you are going to come out on top. Black Cager: As I watched that game, one kid in particular really kind of stood out. I heard a few people standing next to me say, “you know he’s only a freshman.” Once that really settled in and I’m watching the game, I was amazed at the way the kid was able to compete, especially on the boards. 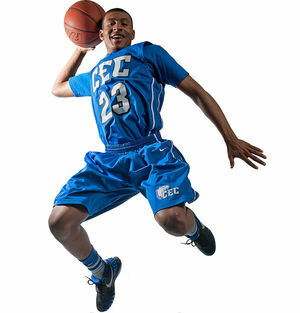 Now when it’s all said and done he will be a Division 1 wing, but for you last year he was a force on the boards. Tell me a little bit about Tyree Pickron and some of your other young kids and what we can expect to see from them going forward. John Mosco: Tyree is a special kid. He trusted me enough to come all the way out to Wood. He lives about 3 or 4 blocks from Roman Catholic and he takes a 55 minute commute by bus everyday. He really fit in here academically. That’s what I’m more proud of. You talk to the teachers and the administration and they love him because he does all the right things in the building. We preach that to him first and foremost. We told him listen your gonna play, but your gonna be out of position. We have a lot of guards and your gonna have to play the 4. He ended up being our second leading rebounder and started every game as a freshman. I gave him an opportunity to play and he really took advantage of it. In that game he had 14 points and 14 rebounds. He hit several big buckets as Roman was making a run to come back. He was really poised. He hit jump shot after jump shot. He has a lot to work on, but I think every sophomore in the country does. He’s in the gym. He takes the criticism. He listens to the seniors. He doesn’t try to do more than he has to. But, he also knows when its time for him to take over and he did it in that game. Overall, I think he needs to work on his ball-handling. I also think the jump from freshman to sophomore is huge because you go from being the low man on the scouting report to 1st or 2nd. He’s going to have to adjust to being guarded by the best defender. He might not have 20 points every night, but he has to keep grinding. I think he will. Black Cager: I also happened to see you guys playing against Reading in the Villanova team camp this summer. During that game, I could see that he clearly relished the opportunity to match up with Lonnie Walker. How do you think Pickron matches up with the kids that tend to get more national recognition because of the name on the front of their jerseys? Kids that play for Roman and Neumann or kids that come out of places like Chester or Reading get a lot of publicity. People are expecting them, they are waiting to see them come along. With what you are building here Pickron and some of your other players are going to have to fight for recognition as elite level players. But, early on they appear that they will be just as good. John Mosco: Yeah… they do… I think my guys have a chance to be recognized on the national stage. It’s all about getting better. If he helps get us to the Palestra, he’s gonna get al lot of that credit along with Tommy Funk (West Point commit) and Colin Gillespie. The further we go and if we are able to win the Catholic league Championship that will bring recognition to the school like our football program. By the time Tyree graduates from here I think he will have all of that recognition. He plays hard, he’s not worried about who he’s playing for in the summer. I think people are gonna be surprised when he goes to Hoop Group or some other camp and plays very well. We talk about that here. Summer is the time for players to shine as individuals. Summer League Championships don’t get you invited to state championships. Tyree needs to work on handling the ball. I want him to do that in the summer leagues. Tommy Funk needs to work on his jump shot, I want him to take more shots in the summer leagues. Black Cager: I think you are unique in your ability to integrate waht you do with what the AAU/Grassroots programs do in the summer. I’ve seen you at AAU practices and your very familiar with the AAU programs. Clearly, going forward for any HS program to be successful they have to adapt to what goes on in summer basketball. Philly has some really hyper-competitive summer basketball programs. How do you go about maintaining relationships, staying above the fray and not have the different programs hating on each other. John Mosco: I think it’s about communication. You have to communicate with them. Give them your schedule… where you are going for team camp and they give you their schedule outlining where they will play during elite season. July is a busy month. I tell my kids I need them for one event… The Hoop Group team camp. If they can’t make it, I’m not going to hold it against them as long as I know they are playing at a tournament with Team Philly, Team Final or the Jersey Shore Warriors. It just provides a chance for a younger kid to play. What I don’t like is when the kids don;t communicate with both the program or the HS team and we don’t know each other’s schedule. In March I reach out to the AAU programs and get their schedules so I’ll know where guys are going. We lift two days a week and they have to go to that. They can go to AAU practice… It’s about getting better. You have to have an open door policy. Black Cager: You know I’ve been involved in this thing for about 20 years and NCAA eligibility has always been a moving target. In 2016, it’s going to change again in a very big way. What are some of the steps that you guys are taking to make sure your kids are ok. I know your upper classmen are pretty bright kids and that’s not an issue. But what would you say to any 8th grader or any kid entering high school in terms of what they can do to make sure they are on the right track? John Mosco: I think it starts before they get to HS. 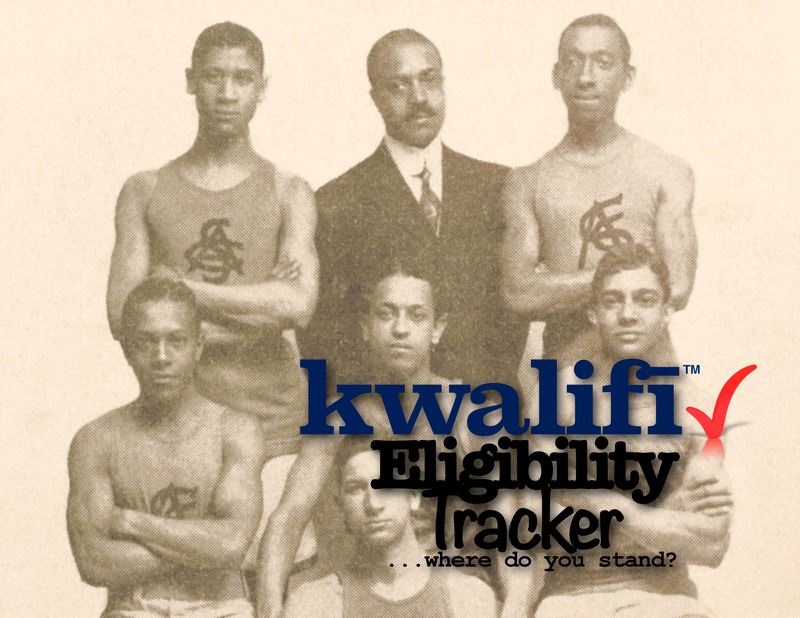 We talk to kids that registered at Wood for HS before they get here. We let them know what they have to do with their grades and progress reports to stay eligible and meet college expectations. I am very lucky here at Wood, we have a great counseling team and they are on top of everything. We have a strong football program and they understand what each kid has to do to be eligible to play Division 1 and Division 2 college sports. They are tracking their grades, they understand what a core course is, they understand the core GPA. We don’t have to explain it to them, they are explaining it to us. They are on top of the new formula. The head counselor is Ms. O’Grady. Her son played basketball here, was drafted by the Cincinnati Reds and played baseball at Rutgers. She understands what it means to be a student-athlete. It’s not just pushing kids through to get a 70. It’s pushing them to get a B or an A. Black Cager: I think Wood, now that you mention it is really unique. The girls basketball team, if not the best, is one of the 2 or 3 best programs in the state of Pennsylvania. The football program, the baseball program and the golf program are all super-competitive. You are bring boys basketball along. I don’t see why you can’t be one of the best programs in the Catholic League which puts you among the very best in the state. Is that your expectation this year? John Mosco: Yeah… my expectation every year, even last last, is to win the PCL title. That’s our first goal, to win the PCL. I tell these kids there is not a better experience than playing in the PCL semifinals and final at the Palestra. There are 9,500 people cheering for you or against you. You see last year 3 PCL boys teams won state championship and the PCL also won a girls championship. Constitution, also from District 12 won the other boys championship. I think the state is not really fond of District 12 winning all these titles. Black Cager: I think clearly the PIAA, is considering different ways to make Philly teams play each other before the Championship games. They are thinking about going back to the East vs West format. John Mosco: I think the state should continue to place teams where they belong and let the best teams play for the title. Roman vs King and Neumann vs Carrol were the best teams in those classifications and they deserved to play for the championship. Black Cager: I think the state views the boys tournament as a money maker. The Philly teams have only been playing for state championships for about a decade or so. Our schools do not travel as well as some of the schools that have been playing for state championships for 50-60 years. John Mosco: That’s why the state loves Chester. I give them all the credit. When they play for the championship, the whole city comes out to support them. It’s tough because we are representing one city. If MLK goes or if Roman goes the city is not going to follow them and go to the game. Even if Wood goes, all of Warminster is not going to travel to the game. So it’s different for city teams. That’s why I put a lot more stock into winning the Catholic League. 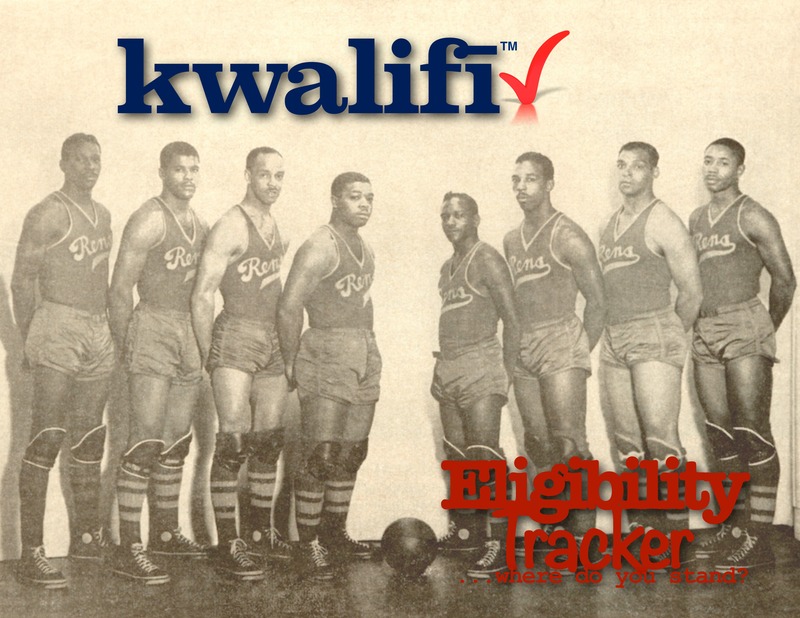 Black Cager: In general, let’s talk about Philadelphia basketball at the amateur level. The sense I get it that we are struggling. It’s no secret that some of our very, very best players have had a hard time adjusting to college life. The expectations thrust upon are young people when they enter college life have proven to be challenging for some. You see a lot of transfers back home. You see kids quitting school. You see kids having to go to junior college. I can easily name 10-12 kids off the top of my heads that struggled with the transition. What are some of the things we can do to help the kids be more successful? John Mosco: I don’t think it’s just Philly… I think it’s the way things are structured… With the live periods in place, the coaches don’t to watch these kids enough and they are taking chances on kids and that’s why there are over 600 transfers every year. Coaches don;t want to wait for a kid to kid better and the kids don’t want to wait. The kids think they should be able to just go to college and play right away. People want to drive a Cadillac, no one wants to drive a Honda. They are all going higher than they should go. They don’t go to the schools that really want them. I think the Philly schools see the Philly kids so much they tend to over-evaluate them. They see them so much they start to focus on their flaws more than coaches from out of state see their flaws. Kids are being talked to by their AAU coaches and their parents, they want to play right away. It’s not just in the city. Even up here I’m fighting with kids from the suburbs that are listening to AAU guys and parents. Everybody has the same problems, they are just in different locations. Everybody’s goal is to be a Division 1 player. Not listening to to right people hurts some kids. There are some guys out there that don’t have the kid’s best interest in mind. Black Cager: I agree 100%. John Mosco: I tell my kids all the time. I go to work every day. I work for PECO. I don’t put food on my table with this basketball thing. When they get to the next level, the coaches are relying on 18-19 year old kids to put food on their table. It’s a business. If that kid doesn’t want to listen, or has a bad semester they are all over him. They may not be willing to work through the issues. As it progresses it gets worse because they are under so much pressure to win. If they are not winning, then they go get the transfers. Now you have the 5th year kid that’s a transfer and he’s much older and stronger than the freshmen. As a result, some coaches don’t even want to look at seniors coming out of high school. They want superstars. They don’t want kids that are gonna work to get better. I talked to a lot Division 2 schools and they don’t even want to recruit, they just wait for the Division 1 transfers. It’s tough, you’re either D1 or D3. Black Cager: I really appreciate this interview. As a final question: What do you have to say to Chris McNesby, Carl Arrigale and Paul Romanczuk? Are you coming for them? John Mosco: Carl is like my brother… we talk every day. He’s knows what I’m doing and I know what he’s doing? We been coming for those guys the last two years. It’s a hard thing to crack. Those are the premier programs in the PCL. In our league everybody knows who you are and they know what you are bringing night after night. Last year, every game was the NCAA championship for the teams they played against. But we got few surprises and we’ll be ready for them. I want thank you for taking the time to come and visit us.